Foto Friday CVII – ..:: NJ Brideau ::.. 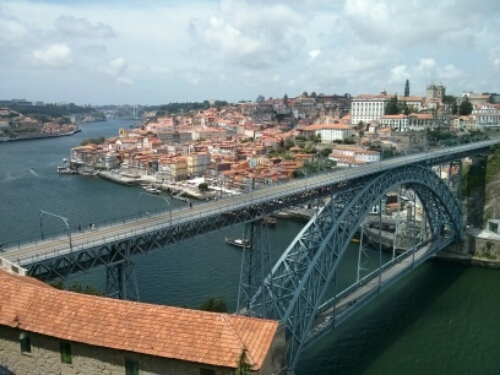 This is the Ponte Luiz I, which spans the Douro river and just on the other side you can see Porto, Portugal. The bridge was designed by an associate of Eiffel, which is apparent in all the iron. Like many of my other visits abroad, I try to find the highest point for a picture or panorama, and this is a great spot. The city looks great basking in the sunlight.